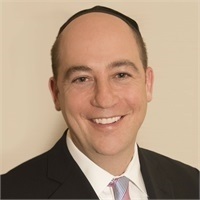 Jacob Safrin always knew he wanted to help others actualize their financial dreams, and when the opportunity arose, he became a founder and partner in Safrin Associates. With years of experience in the field of insurance and financial planning, Jacob became a full service consultant. He is happiest and most enthusiastic when meeting with clients, helping them examine their options, creating strategies that will help them realize both short and long-term goals. Jacob’s reputation has become so well known that he is one of the most sought after consultants for his opinions, advice and specialty for seeing the greater picture and achieving goals in the most expeditious manner possible. A firm believer in developing positive, long-term relationships based on confidence, competence, knowledge and confidence, Jacob takes pride in giving his absolute best to each and every client. When not at work, Jacob is busy helping his wife Stephanie raise their 6 children and volunteering his time to various community organizations. Just as he enjoys planning for the future of his own family, he enjoys helping others plan for their futures as well. “Integrity is the hallmark of Safrin Associates. We listen and understand what each client is trying to achieve. We communicate, we educate, we answer questions, we stay in touch, we endeavor to provide a quality service unlike any in the industry." Jacob credits his pursuit of education to his late paternal grandmother, who related her childhood memories of being kidnapped by the Russian Cossacks from their Polish home during the First World War. Her mother would teach them- "My dear children- remember this lesson- Look at us- They took us out of our beds in the middle of the night- we have no food, very little clothing, no real roof over our heads. Remember my children- What you learn- what's in your head, they can never take away from you- Learn children, learn." A firm believer in developing positive long-term relationships based on trust, competence, knowledge and confidence, Jacob takes pride in giving his absolute best to each and every client. Jacob works with individuals, privately held businesses, publicly traded businesses, venture capital firms and celebrities. His refreshingly creative approach has given him the ability to touch people's lives and develop long and meaningful relationships. He is a much sought after consultant for his opinions, advice and specialty for seeing the greater picture and achieving goals in the most expeditious manner possible. He is regularly called on and referred by the leading estate planning attorneys and lectures regularly at seminars, meetings and conferences.